Saving for your children not only provides them with a welcome nest-egg when they reach adulthood, but can mean they’re better savers for the rest of their lives. 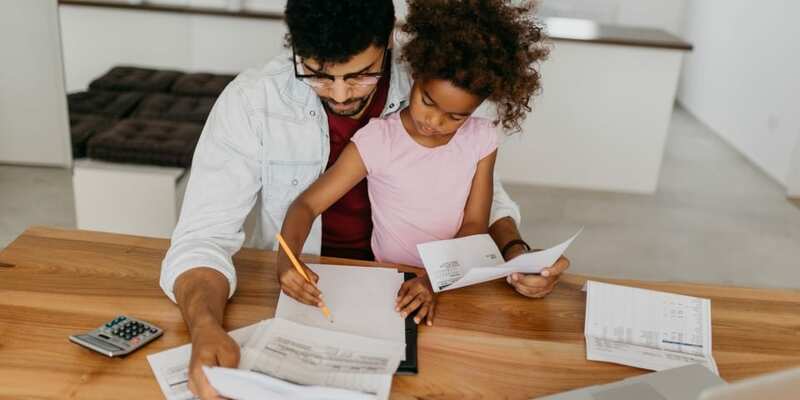 Research from National Savings & Investments (NS&I) recently found that 50% of Brits had a savings account opened for them when they were children, and many parents are now looking to continue that tradition with the next generation. The Junior Isa is a popular way to save for children, and any growth is tax-free. But how much could you earn and are there alternatives in the market? Here, we’ve modelled a few scenarios to see how much you might be able to hand over to your child when they turn 18. According to the most recent HMRC Isa statistics, Junior Isas are becoming more popular; in 2017-18, around 907,000 Junior Isa accounts were subscribed to, compared to 794,000 the previous year. Around 57% of the money saved was in cash, while the other 43% was invested in stocks and shares accounts. While parents can open and manage the account, the money is held on behalf of the child, who will take control of it when they turn 18. You won’t be able to withdraw any of the money or close the account before this, except in extraordinary circumstances, so make sure you can spare the cash. In the 2019-20 tax year, you can save up to £4,368 in a Junior Isa tax-free – up from £4,260 in 2018-19. This amount is known as the Junior Isa allowance. To fully use this allowance, you’d have to save £364 a month, or just over £12 a day. So, how can you get the most from your money? Please note that the allowance is likely to change from year to year, but for our models, we assume you continue to pay in the same amount every month for a period of 18 years. There are several choices you’ll need to make before investing in a stocks and shares Junior Isa: what kind of investments you want to make, the level of risk, and how involved you want to be in managing the investments. If you were to take out a medium-risk stocks and shares Junior Isa, paying in £364 a month for 18 years, and paying 0.75% a year in fees, we’ve calculated that the investment could be worth £111,000 by the time your child reaches 18. You’d contribute £78,624 over that time, and receive £32,706.64 in investment growth. However, this growth is not guaranteed and the money you deposit is at risk. It’s true that over 18 years, there’ s an increased likelihood that investments will grow, as dips in the market are evened out over time – but there’s always the chance that you won’t get back as much money as you paid in. The charges you incur from your Isa provider could also be markedly different to our example, so you should always check these first before opening an account. Find out more: what is a stocks and shares Isa? Making the same assumption of saving £364 a month for 18 years, you’d also pay £78,624 into a Junior cash Isa – but the returns are slightly different. The table below shows the three top-rate Junior Isas. Danske Bank Junior Isa 3.45 £25 minimum initial deposit. Only for customers in Northern Ireland. Tesco Bank Junior Isa 3.15% £1 minimum initial deposit. Taking the top-rate account from Coventry Building Society (which pays interest annually), by 2037 you could have a savings pot of £110,088.45 – earning £31,464.45 in interest. That’s slightly less than what you’d earn in a stocks and shares Isa – but your money is not subject to the same risks, and you won’t need to pay fees, so some people may find this a preferable option. Keep in mind that these interest rates are variable, so the providers could opt to increase or decrease them at any time. While you can’t close the account, you could opt to transfer the full balance to another provider if your interest is slashed. Whether you choose a cash Isa or a stocks and shares Isa, you must stick to the Junior Isa allowance in each tax year. The money saved in any Isa is tax-free – so no matter how much an Isa account earns in savings interest, neither you or your child will be liable to pay any tax. Alternatively, you could opt for a children’s savings account. Much like adult savings accounts, there are instant-access, fixed-rate and regular saver accounts – with the highest rates available on the regular savers. The table below shows the three top-rate regular children’s savings accounts. Halifax Kids’ Monthly Saver 4.5% Save £10-£100 per month. No withdrawals allowed unless account is closed. Saffron Building Society children’s regular saver 4% Save £5-£100 per month. Barclays children’s regular saver 3.5% Save £5-£100 per month. Rate drops to 1.51% in any month a withdrawal is made. Unlike a Junior Isa, you can access the money if you need the extra funds, though Barclays will penalise you with lower interest and Halifax will require you to close the account. All also require a certain amount to be deposited each month to qualify for the higher interest. As the most you can save each month is £100, you’ll be looking at a significantly smaller savings pot when the funds are handed over to your child. What’s more, the Halifax and Saffron BS accounts are only for children up to the age of 15, while Barclays is up to the age of 17. This means the amount of time you’re saving for is reduced as well. The difference is such that, if you were to save the maximum £100 a month into the Halifax account for 15 years, you’d end up with £25,544.71 to give your child, earning a total interest of £7,544.71. This amount of interest, however, could cause problems for your tax bill. Unlike the Junior Isa, you and/or your child may have to pay tax on the interest earned in a savings account. If the interest on the savings you put into your child’s account exceeds £100 a year before tax (or £200 if the money is from two parents), all of this interest will be added to your savings income and taxed as if it were your own. This may push you over your personal savings allowance – which is £1,000 for basic-rate payers and £500 for higher-rate payers. If Junior Isas and savings accounts don’t appeal, there are other ways you can put money away for your children’s future. Parents, grandparents and great-grandparents can buy premium bonds on behalf of children up the age of 16. You can buy anything between £25 to £50,000 worth of bonds, and each month every £1 bond is put into a prize draw. Prizes are tax-free and range between £25 and £1m. However, prizes aren’t guaranteed, and the money held in premium bonds won’t receive any interest – so, if you don’t win, then the money will lose value in real terms due to the effects of inflation. Once the child turns 16, the bonds can be handed over to them. Setting up a pension pot for your child can be a great boost for when they reach retirement, especially as the money could benefit from 55 years of compounding. Your child can take over control of the pension when they reach 18, and continue to save into it, but they won’t be able to access the funds until they reach 55. While you’ll be able to rest easy that the money won’t be squandered on any young adult whims, they also won’t be able to use the funds to help with things like their first home, weddings or other pre-retirement milestones. You can pay up to £2,880 a year into a child’s pension, which isn’t much compared to what you could put away in a Junior Isa or children’s savings account.